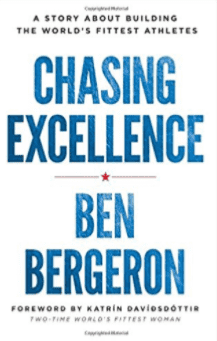 Ben Bergeron, in his book Chasing Excellence, explains that winning is a result, not a goal. Using examples from the athletes he trains (Katrin Davidsdottir, Cole Sager and Mat Fraser) Bergeron shows that an athlete without a strong mind cannot achieve anything substantial at an elite level. 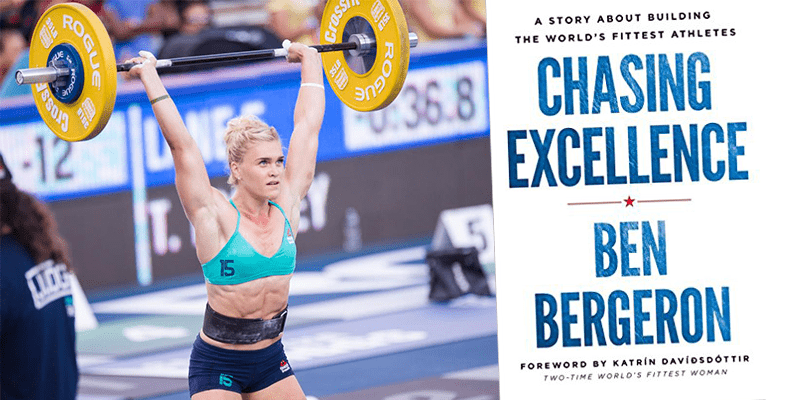 Bergeron contextualises his ideas in real life examples, and the narrative of the book follows the structure and events of the 2016 CrossFit Games. This in turn makes the ideas accessible and he offers practical advice for how anyone can apply the same principles to their own lives. He talks about the importance of paying attention to detail, grit, resilience, heart, skill, and many more topics. Character is also an incredibly pertinent aspect for performance in Bergeron’s eyes. The aim of the book is not to offer advice solely for CrossFit athletes, but Bergeron explains how people should work with, and think about, these concepts in everyday life. He wants to show people how to become successful in any area, any profession, at any age. One of Bergeron´s mottos and messages for all athletes is: “Never Whine, Never Complain, Never Make Excuses”. This hugely popular book shows how positive thinking and grit can really take you a long way.